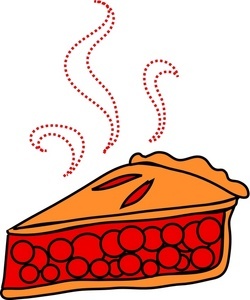 082418 - Senator Elder Vogel, Jr.
With the 8th Anniversary of the signing of my legislation Senate Bill 828 or the “Pie Bill”, we are offering all former one room school house students a free slice of pie and drink. This event will take place from 8p.m-9p.m at the Big Knob Grange Fair on August 28th. The Pennsylvania Cable Network (PCN) has been working hard to bring a free learning resource to PA classrooms. The program, Civics 101, is available now and is prepared for students at the fourth-grade level. Civics 101 brings the basics of lawmaking to life for PA students. The site features video interviews with former Governors, a roundtable of Capitol reporters explaining the importance of the media, and special PCN Tours of the Governor’s residence and the State Capitol. In addition, a “Teacher’s Guide & Tools” page offers ideas for use in the classroom and downloadable classroom tools. Being knowledgeable and comfortable in exercising civic duty is important for every citizen. The goal of Civics 101 is to be a valuable resource in the classroom resulting in educated and interested students. PCN welcomes teachers to share how they’re using Civics 101. In return, PCN will send a certificate of recognition and a special gift to participating schools, while supplies last. We hope to have you join in on this program, and help educate the younger generation in Pennsylvania Civics for years to come. PCN (Pennsylvania Cable Network) is a statewide Public Affiars network responsive to the needs and interests of Pennsylvania and its people. You can follow PCN on Twitter or Facebook for up to date news on PA topics. Faith in Action Beaver County is a local organization providing no cost rides to Beaver County Seniors over 60, who need rides within the county to medical appointments. You are instructed to give two weeks prior notice for a ride and identify which zone you live in, from the numbers above, when you call. To contact Faith in Action Beaver County call 1-800-207-6701 and then press the extension number for your zone from the list above. 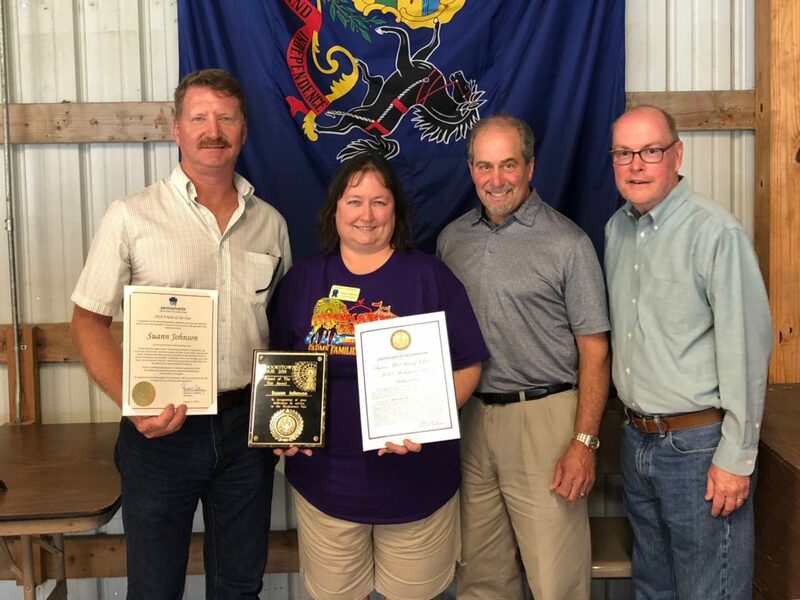 Staff from my office joined the Butler County Farm Bureau to discuss various issues facing local farmers and participate in a tour of the Davis family dairy farm. 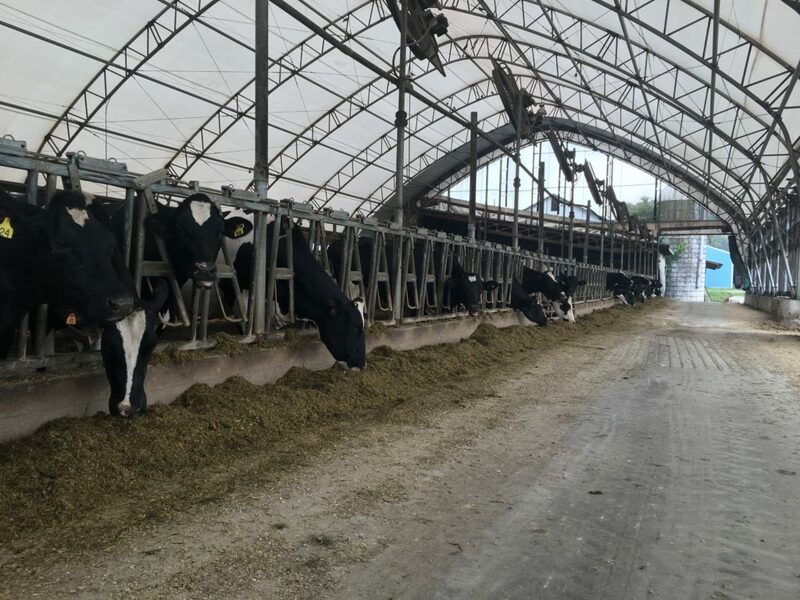 Did you know that automatic milking systems allow a cow to choose her own milking time and interval while recording all of the data a farmer needs to ensure safe and efficient production? The Pennsylvania Department of Agriculture requires licensed food establishments to have one person in charge that has successfully completed a manager food safety training class. To assist food establishments to meet this requirement, Penn State Extension is offering ServSafe®, a nationally recognized food safety training course. The course will be held at the Penn State Extension office in Beaver from 9a.m–4p.m on September 6th and 13th, 2018, with the examination on September 13th at 1 p.m. The course fee of $185 per person covers the cost of the ServSafe® course book, food handler guide, instructional materials, and digital food thermometer. Pre-registration is required. To register, go to www.extension.psu.edu/servsafe. For those without internet access, register by contacting Penn State Extension at 1-877-345-0691. Register early as seating is limited. Penn State encourages persons with disabilities to participate in its programs and activities. If you anticipate needing any type of accommodation or have questions about the physical access provided, please contact your local Extension Office in advance of your participation or visit. The State Transportation Commission has updated the 12-Year Transportation program. The new plan, which takes effect October 1, anticipates $11.53 billion being available for state highway and bridge projects in the first four years. Public transit is in line for $9.62 billion; aviation, $128 million; rail freight, $228 million, and multimodal projects, $319 million. You can read the plan & search projects by county by clicking here. The Pennsylvania Department of Insurance is offering a free guide to help everyone understand their car insurance better based on a statewide zip-code based study from 2016. Pennsylvania is also currently participating in a national zip-code based study of auto insurance affordability and availability being conducted by the National Association of Insurance Commissioners (NAIC). The Insurance Department anticipates that the NAIC will release information on its study after it is completed. The department has put together a list of resources to help answer your questions and help you understand your options. Feel free to browse the following publications and resources. For the Auto insurance guide please click here to download the PDF. For a complete list of consumer brochures and fact sheets, you may click here. It was a pleasure to be a part of the opening ceremonies at Hookstown Fair. 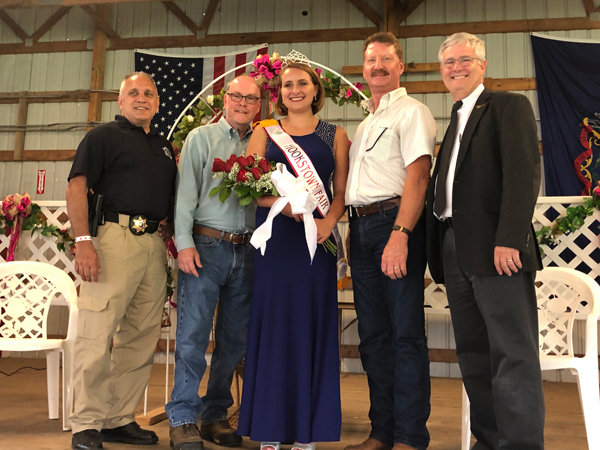 Congratulations to Suann McElhaney Johnson (Top) for receiving this year’s Friend of the Fair Award and Emily Stewart (Bottom), crowned the 2018 Hookstown Fair Queen. Students will be returning to school soon, and for their safety please keep PA’s school bus stopping law in mind. Motorists must stop at least 10 feet away from school buses that have their red lights flashing and stop arm extended. Motorists must stop when they are behind a bus, meeting the bus or approaching an intersection where a bus is stopped. For more details on motorist school bus safety please click here to visit the PennDot webpage. The notices say the recipient owes “The State of Pennsylvania” unpaid taxes and a “warranted lien” has been issued in their name. The Department of Revenue will send multiple letters to taxpayers if there is a legitimate liability owed. For more information or if you believe you’re a victim of a scam please call 800-441-2555 or click here to visit the webpage. 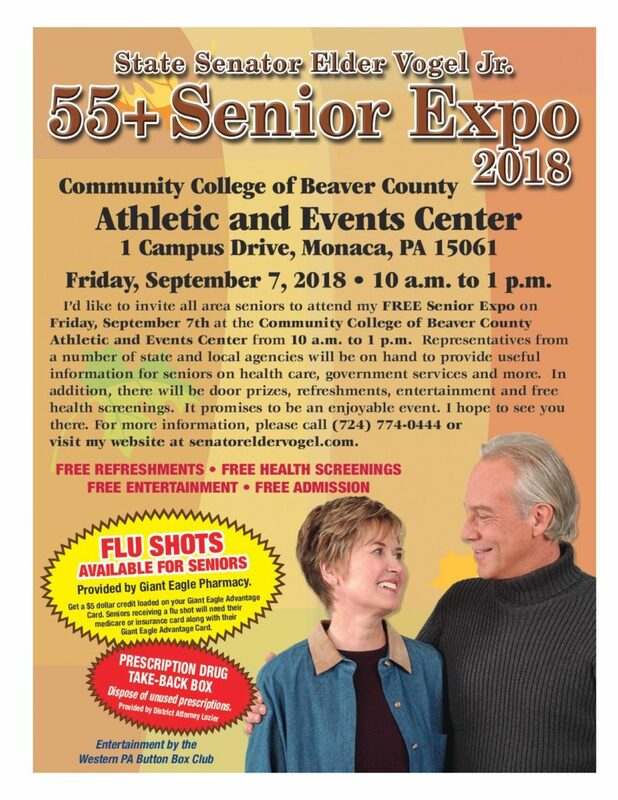 Another reminder that my Beaver County Senior Expo will be held on September 7th from 10a.m-1p.m. See the poster below for more details.